ARE YOU GUYS READY FOR THIS?? I have a pretty sweet lineup of giveaways coming up here on IHOD!! I want to share with you some of my favorite things and offer you a chance to win them!! One of my favorite clothing/accessory shops - Spool No. 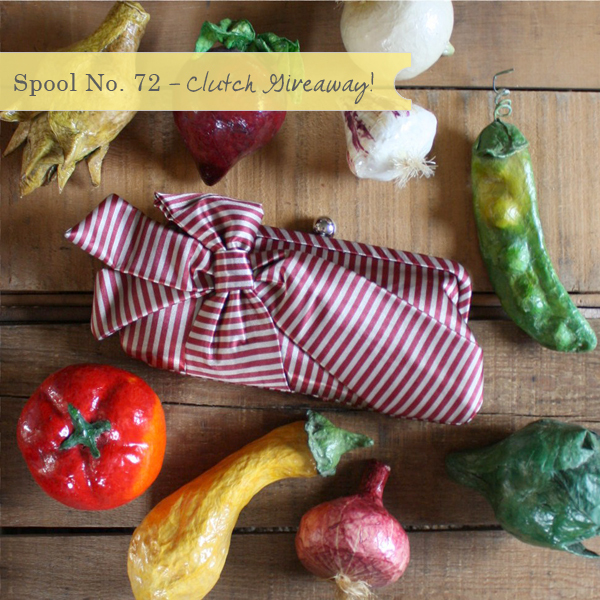 72 (you can see me wearing the Macintosh Dress in this post) is offering this brand spanking new "Veggie Patch Clutch" to one lucky chica. Isn't it amazing?!! I totally swooned when I saw it. Its the perfect follow up to my love for stripes post...and in a fun and trendy color for summer - red. Ready to win or what?! 1) Visit Spool No. 72 and let us know what your favorite new arrival is! 1) Blog, Tweet, or Facebook about the giveaway and let us know you did! Open to International Readers. Giveaway will close next Monday! *Important! PLEASE if your profile is does not have an email address or is blocked PLEASE leave your email address so there is a way of contacting you if you win!! Um I must have this bag, I mean it is essential to living. as far as a fav in the new arrivals, picking was not easy peasy. BUT I am loving Clothesline Chambray Shorts, mkay. Thistle and Lace blouse is adorbs!!! annnnnnnd I Follow on twitter. love this shop!! in love with this new item: http://www.spool72.com/58597/645342/New-Arrivals/Sequoia-Rugged-Backpack.html - but dude, it was hard to choose!! I like Spool No. 72 on Facebook. .. that's probably why I love the Butter Churn sweater most - yellow & creme stripes, yes please! 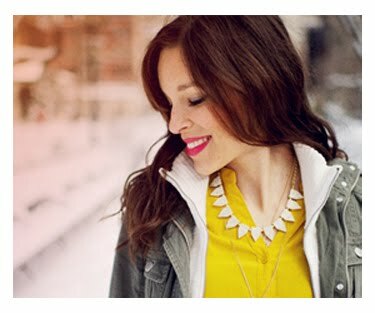 Oh I love the butter churned sweater and the home grown scarf! And those clutches... love! I liked Spool No. 72 on facebook! And I'm following them on twitter now too! Thanks for the wonderful giveaway! I had never seen the shop before - swooning over it now! I'm a IHOD subscriber via Google Reader! I love the Spring Hill Bracelet and the '60s beaded moccasins (too bad I don't wear a size 7). Gotta say, the Macintosh dress is my favorite too! Loving orange. My favorite new thing on Spool 72 is the cutest Small Town Dress. LOVE IT! I'm a follower! Wow, I love the Southern Charm earrings! And the Butter Churn sweater. 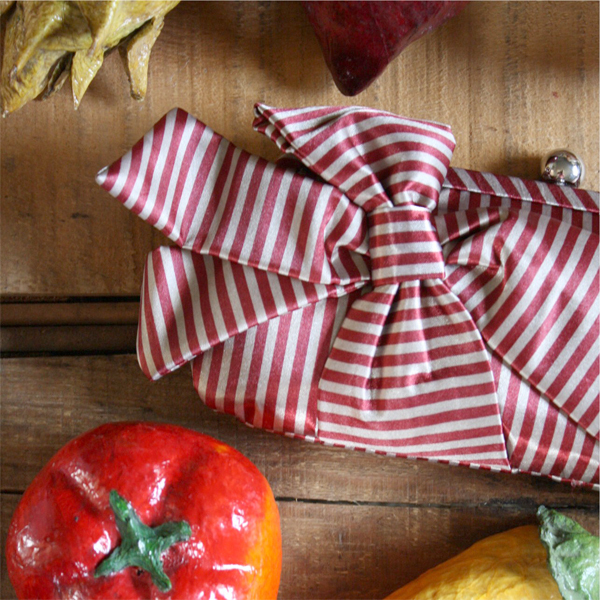 And the veggie patch clutches! So cute! Love the clutch! My favourite new arrival is the HotHouse Romper! So cute! Although I'm not sure how cute it would look on a big belly! Thanks for the giveaway Anna! I'm a follower on twitter, too! I orchard grass dress I just ordered :) LOVE this boutique! Anna, I love it! I had trouble choosing a favorite among their new items but they have a backpack and it's precisely what I've been wanting for some time now. i'm loving the mcintosh dress! and the turquoise beaded necklace! DYING over this giveaway!!! My favourite item on the NA list is the Tag Along earrings- I must own them!!! I like Spool 72 on Facebook. What a cute clutch!!! I love the sweet chevron dress too!! Faves have got to be the sweet chevron dress and the periwinkle blouse...so sweet and perfect for summer!!! LOVE. Thanks for the giveaway! love the butter churn sweater! Well besides the clutch I love the orchad grass dress - so cute! Thank you to introducing me to this shop! I am in love with the sweet chevron dress. SO CUTE! I LOVE this clutch! There are several of the new arrivals that I like, but either the clutch of the butter churn sweater are my favorite. Tweet and facebook like also complete. My email address can be found on my blog. Great giveaway! Love this site. I think most of all I'm in love with all of their vintage finds...hello boots? Love them. Stripessss!!! Love it! I actually really like the vintage rugged leather duffel...I think it may be love..
Love the clutch. The Bungalow Pinstripe Blouse so sweet and feminine too! So hard to choose, but love the Small Town Dress! Love the clutch too! LOVELY CLUTCH! It's so fab! I am definitely going to enter. Oh it's a must have! Amazing products!! 1st time seeing this website its fabulous!! really couldn't decide on my fave! I really like the Sweet Cream Blouse & The Cupboard Dress. I "Liked" on FB. LOVEEE all the items! & The giveaway clutch! That is such a gorgeous clutch! I love the Periwinkle blouse on their website as well! I want the honeysuckle earrings! Among other things of course!! I liked Spool No. 72 on twitter too!! My favorite item from the shop is Hacienda Dress. 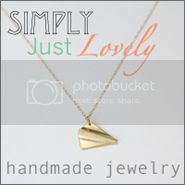 1 just want to say that i love your blog and your shop, mainly because here all the girls in the pictures look so happy. ILike Spool No. 72 on Facebook as viorela violet. Enter me please! My fav arrival is Small Town Dress. I like Spool No. 72 on FB! Oh my goodness that clutch is just TOO cute!!!! 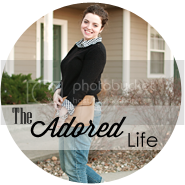 The Vintage Leather Saddle Bag is so cute!! So difficult to choose so I picked two: the veggie patch clutch in red and the daydreamer leather tote. They have lovely items!!! Love the way they style their products! And I'm loving the Butter Churn Sweater. So sweet, the bow is a perfect detail! I adore the blue and white and the red and white striped clutch. Like ADORE. and I follow spool no. 72 on twitter now. Oh wow, another fabulous giveaway!! I really love the Rugged Backpack and the Chambray shorts and would probably want to be wearing both, together!!! I'm just drooling over them both!!! This clutch is so gorgeous! I love it! Oh and I definitely "like" them on Facebook!! I'm so excited to have found out about this adorable little company. It is putting me in the shopping moooood. i like the Sweet Cream Blouse. kate(_)lanahan(at)hotmail(dot)com. i like spool no. 72 on facebook. kate(_)lanahan(at)hotmail(dot)com. i follow spool no. 72 on twitter. kate(_)lanahan(at)hotmail(dot)com. Oh my goodness, the shop is filled with lovelies! The Country Road Blouse is breathtakingly beautiful, love the seafoam green! I subscribe, thanks for the lovely giveaway. I follow Spool No. 72 on twitter! Oh my goodness. I love everything in their store! It's so hard to choose a favorite. I love the tomato seed and flour sack dresses! Follow and love the Sweet Chevron Dress. LOVE the butter churn top! what an awesome awesome giveaway anna!!! i LOVE the Thistle and Lace blouse!!! it's beautiful!!! i follow them on twitter (@sandyalamode)! i'm really digging their butter churn sweater!! oh so cute! I'm a follower of yours and I think THIS clutch is my favorite new item!! HEAVEN! I hope I win!! I love Sabel Doctor's Tote! Like Spool No. 72 on Facebook as Monika Lintang Retnani. Follow Spool No. 72 on Twitter as @monikaretnani. I love everything!!! Ahhh!!! Especially the Dilly Dally Earrings. I know it's not a new arrival, but I'm a huge fan of the butter churn sweater. I love bows! I adore this dress http://www.spool72.com/58417/704861/Dresses/Seed--Sow-Maxi-Dress-Sold-Out.html ! My gfc name is Gondor Tari; my mail is khelek18@gmail.com. I foolow you on facebook: Laura Sánchez Murillo. Follower :) This clutch is AMAZING! My favorite new arrival is the Butter Churn Sweater! I like Spool No. 72 on FB. I love the Tomato Seed Dress! i am now the newest facebook fan of spool no. 72!! 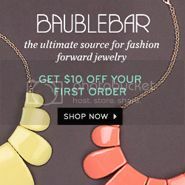 I think I'm in love with their vintage pink necklace...so cute! Okay, now I am following them (and you!) on twitter :) Oh I hope I win! I'm following you and my fave item would HAVE TO BE the tomato seed dress. It's positively dreamy! What a precious clutch! I love clutches! I think they are so girlie and fun! I am LOVING the butter churn sweater and the red veggie patch clutch! Wowza! I love spool! I have had my eye on the frit stand dress and the butter churn sweater.